VirSyn put all of their apps on sale! 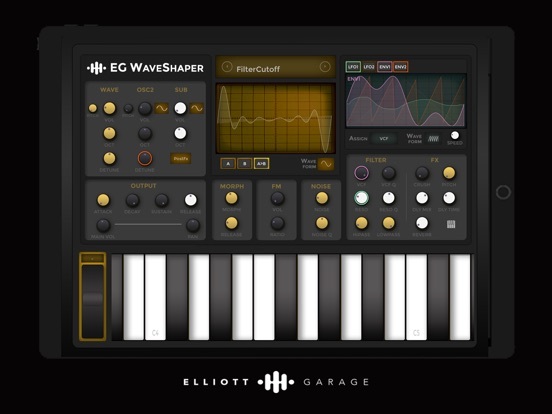 They're joined by SynthJacker, and the first sale on EG WaveSHAPER. A "little bird" told me that VirSyn is working on adding the ability to import sfz format files in a near future version. That's a nice bonus, as it would be a drag to try do any edits like this on a touch screen, and the ability to bulk that work on a mac or convert, and import, will be key. @stub: For which VirSyn app? Oh, sorry. Yea, AudioLayer. It's VirSyn's answer to our need for a proper sampler. It's just ok, but the ability to import EXS24 files and (soon) sfz files makes it a much more road-worthy option. I think Obsidian is also a VERY impressive option, but A. not standalone, B. three velocity levels, C. import options? I wish VirSyn would give AudioLayer more muscle: a nicer GUI, more Envelope segments with curves, and some more synthesis capability. It wouldn't need to be at the Obsidian level, there could certainly be more there. Still, it fills a need that until now, none have bothered to fill.